But what of this year we hear you ask? 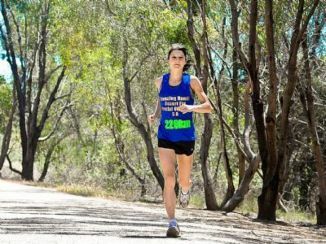 Is this the most anticipated race in the Aussie ultra-running calendar? The great news is that a strong contingent of international athletes are returning, and top of that list is Ryan Sandes from South Africa. Ryan came third here last year with a time of 9:57 and was somewhat overshadowed in the dual between Kilian and Francois D’Hane. But Ryan is a different athlete this year. Since then, he took out the Leadville 100 miler in 16 hours odd, recording the fourth fastest time ever in that race and he has certainly moved up a notch in terms of class. A genuine global trail running star with bags of pedigree. Then there is the Aussie contingent, and boy have some of these guys made some massive inroads this year. Donges, Davies, Lee, Artup and Goerke are some of the headliners. Then you also have the likes of Clarke McClymont, Jono O’Loughlin, Dave Coombs, Jim Villiers, Jonathan Worswick, Levi Martin, Oli Zambon and Tim Cochrane. Mick Donges has had an incredible year to date, which has seen him take some Kiwi pride from Tarawera, as well as a great win at the Two Bays race down in Victoria too. He’s had a few niggles of late, but word on the street is that he is mixing it with Ryan Sandes up in the Blueys this week, so expect him to be starting out strong as usual. Brendan Davies is also on a fire cracker of a year too. You can’t argue with a man that’s just gone sub 7 hours in the World 100km champs. Brendan means business and it will go one of two ways for him we feel. He’s either going to carry that form over and push the likes of Ryan and Jez all the way to the mowed croquet lawns of the Fairmont, or those World Champ legs will bite him hard as he descends into the Jamieson Valley. Personally I think we’ll be seeing the former scenario from Brendan, and we’re really excited to see what he can do this year… Sub 10 beckons for sure. Mr. Artup and Mr. Lee are different kettles of fish. The guy otherwise known as SleepTrain has been pretty quiet of late, but reports from the LBMMWS (Lower Blue Mountains Moonshine and Wife Swapping Society) indicate that the man is firing. Yours truly has spent quite a bit of time on Sleeptrain’s traditionally hunting ground, otherwise known as his Six Foot Track simulator course, but I’ve yet to see the great man busting his moves. All we can say is never underestimate someone who has the current Six Foot Track course record to his name. Another man who keeps himself to himself is Andy Lee, another legend of the North Face. Marcus and I recently caught him speeding down the North Penrith relief road (aka the Oaks Fire Trail) a few weeks back as he prepared for numerous hill reps. He looks as though he’s shed a few kilos of man muscle and is in tip-top shape to bust it up with the big guys again. Another man that’s going to hit sub 10 again we feel. One of the more interesting names on the list is Andrew Tuckey, and this will certainly be a bit of an unknown for us. As far as we’re aware, this is the first time Andrew has stepped up to the 100km mark in a race (happy to be corrected! ), but he has pedigree and you can’t discount someone who regularly hits the 2:30’s for a marathon. A bit of an unknown quantity for this one we feel. However our dark-horse is Levi Martin. 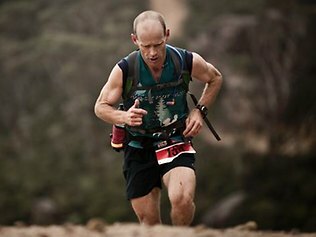 The man from the central coast had a storming GNW 100 miler last year and we think he’s a future winner of the event. He has plenty of flat speed as well as being a bit of a mountain goat too. Watch out for him, he’ll be running with the front guys and making them sweat profusely. But wait, there’s more – someone told the Kiwis that there was a race on across the ditch and they’ve saved up their sheep dollars, converted them to kangaroo ones and made the trip over. Top of the list is Vajin Armstrong, who infamously lost out to Mick Donges in what is now widely being regarded as ‘shoegate’ at the Tarawera 100km a few months back. Salomon athlete Grant Guise is also making an appearance following his top ten finish last year and will surely be hoping to break the 10 hour barrier. Vajin had a storming win over in the US recently at the American River 50 miler, setting one of the fastest times in the process. He’s going to feature in the pointy end for sure and is a potential podium contender we feel. Getting into the top 20 this year will be a serious achievement, but who’s going to take line honours? This is how we think it will play out. 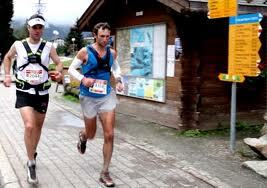 Rather than the Kilian and Francois show that we saw last year, this year will be different. We think there will be a pack of runners pretty much all within a few minutes of each other, and the Aussies will be pushing hard in this one. But in the end, we’re going to plump for the Sandman himself, Ryan Sandes, and a new course record to boot with a low 9’s or even sub 9 finish. Hot on his heels will be Jez Bragg, and then first Aussie home will be Brendan Davies we reckon in third. In all seriousness, we can’t see her losing, not after last year and the amazing performance she put in, along with the fantastic course record. She’ll be pushed hard though, and there are a few young guns that will be seeking to grab glory from her. First off the list is Beth Cardelli, a former winner of the race and is sure to push Julie all the way. Beth has been fairly quiet this year, so hard to say what kind of shape she’ll be in, but she has pedigree that you can’t argue with. Another one of the Salomon clan is Gretel Fortmann. A recent addition to the Aussie team over here, we had the pleasure of hitting the trails with Gretel in the build up to North Face and all I can say is that the girl is a machine and I’m sure she wont mind me saying, but has quite possibly the biggest calves I’ve ever seen. This lady yomps through National Parks for fun and takes everything in her stride. She finished 10th female last year at UTMB, so that’s all you need to know really. Podium expected. Australia’s female ultra runner of the year and Ultra168 editorial board member, Nikki Wynd is also making an appearance hot off the heals of her teams’ excellent third place down at the Melbourne Trailwalker a few weeks back. Nikki is hard as nails and will certainly be mixing it up for a podium spot. One name you might not recognise on that list is Joanna Kruk. This lady has gas. She won both the Yurrebilla 56kms and Adelaide 6 hour race last year and just recently came first female in the Namibian Challenge, knocking off 213kms in just a shade under 18 hours. Watch out for her, she’s our female dark horse, plus she’s a former international boxer to boot as well. Watch out guys, you might find yourself on the end of a left hook if you sprint to beat her across the line! And finally, our Kiwi spies tell us that Amy Campbell from Whangarei could be a dark horse in the ladies. 1st at Tarawera 2011, 2nd in 2012. 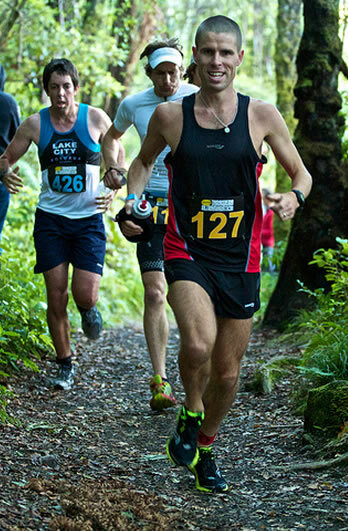 1st in the Taranaki 100 mile in 20:26, and recently selected in the New Zealand 24 Hour team for Poland. But the fact we love most is that apparently she likes to hunt pigs… watch out boys! As you can tell, this is a star-studded event and perhaps one of the best fields assembled for an ultra in Australia, certainly in terms of depth. It might not have the global name of a Kilian this year, but there are going to be 20-30 guys and gals all pushing each very very hard up front and we’re going to see times that are overall, quicker across the field than last year we feel. Here at Ultra168 we can’t wait to see the action unfold, and there will be a few personal battles between ourselves too, but come Saturday night, we hope to be sharing a few beers with some of you at the finish line and patting each other on the back for a job well done. Huge North Face Competition – Fancy Crewing for Jez Bragg at the North Face 100? agree about there being way more depth this year than last. Think a lot of lads have really stepped up over the last 12months, none more than Ryan! and yeah Jez for 2nd, 3rd- that could any any number of folks. KDay from NZ should be in the mix also I think. I wouldn’t mind throwing a few dollars down on Vajin. His win and time at American River was super impressive. That said, it also showed how outstanding Mick Donges was at Tarawera 100k. It’s going to be a great race. Would love a camera out there! Jez was leading Western States at the 100k mark last year. He is my pick. Tucks is a dark horse for sure. He just runs his own race, is totally unflapable and can run all day. No love for Mr Vize? Or is he trying to fly under the radar? What’s with him? Scared of the competition? Injured? Why no love for MQ in the girls? Im backing shona all the way… I see no mention of krissy Moehl.. is she not running now? Not on the starters list Naomi, no. I bumped into Mr D at the start of my run last night, 5km in 19min anf he hadn’t even broken a sweat, while I was left in the foetal position. However the competitive nature of Sleep Train will certainly be the ‘unkown’ if it is a pack run or he is near the front watch out, that’s not discounting a very fit looking Andy Lee. Certainly will be an interesting leader board from the Aussie’s side. Mention of Goerke but not on starters list? Is he deffo racing? s’allright – didn;t read the fine print!! Clicked through to 100km and there you go. You are correct (of course!). I really should learn how to use the net (not to mention read). And if that’s the case – Sandes, Vajin, Goerke, Bragg with Lee potential on a flier making up for last year in the mix. If that 213 km in 18hrs for Joanna Kruk is correct, it is excellent. I would think she could win the North Face with that form. She was in the 30 km Lightning Strike race last year, as was I, and she mentioned she was just starting in the long distance running events. We were level at 20 km, but then she took off over the last 10 km which is mainly uphill, and beat me home by about 5 minutes and I was going flat-out. Emma Murray ran like that. It is correct Ian – although you have to remember that those races are stage races – but it is still a cracking time and of course won her the event in the female category. Namib distance looks dodgy (D Goerke ran 19hrs in 2011), but 5:13 for Yurrebilla and 69.2km for a 6 hour will put her on the podium. From what I’ve seen and heard this year Sandman should win and Goerke is my pick for runner up. He has not broken a sweat in Maroondah 50k and recent Rollercoaster and looked super strong. But I believe will be a big group mixing it up for a large part of the race. Assuming all are uninjured throw a towel over Davies, Donges, VJ, Lee and Artup plus orhers you mentioned. If pushed reckon Mr D will get podium but could really close and exciting finish at the end. Agree Martin, its going to be very hard to pick correctly! Great article. Couple of months ago we were training in the mountains and caught up to a female runner going solo. We only caught up because she was having lunch at Dunphys. Her name was Julie, said she was a triathlete, could have been Julie Quinn? I hope so, she stayed with us for a short while, but the way she bombed UP hills made me cry a little inside.Best of luck to all competitors, don’t drink the bar dry before I get home! 19 year old Tyler Williams is a name to watch next week and in the near future. I have heard rumours that the author is in red-hot form and looking for a big break-through PB. Any truth in that DJB? No pressure of course. If I were the girls I’d be watching over my shoulder for Jo Kruk. Three course records last year, this girl is tough.